“There’s only one thing I adore almost as much as mixing beautiful drinks: dancing. 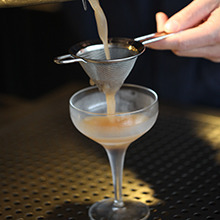 Imagining original combinations of ingredients for a cocktail isn’t so different from developing a sequence of steps in a well-structured choreography. “Right foot forward, left foot sweeps in a semi-circle, right foot forward, left foot raised. I still remember how the first choreography I worked on started. I repeated it hundreds of times in front of the mirror, striving for perfect coordination with the other girls. Don’t go imagining the corps de ballet at La Scala: we were just an amateur dance company, but we were full of passion and determination. “But choreographies also need a good story, research, inspiration that comes from somewhere. That was always my favourite part of the entire dance creation process: to choose the message, the idea to be translated into motion. I found a muse that inspired me in piecing together a short act: Anita Garibaldi, the greatest Brazilian heroine, a wonderful mix of romance and strength. That would have been amazing to dance and to watch. “But I never finished my final work. While working on Anita, I discovered a new Thalita. As a girl who had never gone very far from home, I discovered I had a big dream and a life-long passion to do and see more. I felt an inexplicable need to seek out new places and suddenly I found myself in an airport for the very first time. I caught a plane to Australia: an unknown country where I had no friends or family, didn’t speak the language and had no career. But I knew that this place would be my home. “I put my creativity to one side for almost 5 years, too busy building my new life. Having gone from job to job, one day I ended up in a cocktail bar. While mixing my first drink I felt that spark from my dancing days again, putting different things together to create a whole new something. My passion was back, albeit in a new shape. “When I realised I could finally tell stories again, this time in liquid form, I started working on my favourite one: that of Italian revolutionary Giuseppe Garibaldi, who fell in love with Anita, a person of strength and resilience but at the same time also extremely tender and charming. 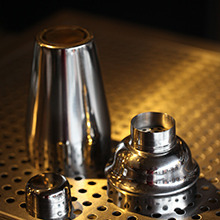 Anita was reborn, as a cocktail. 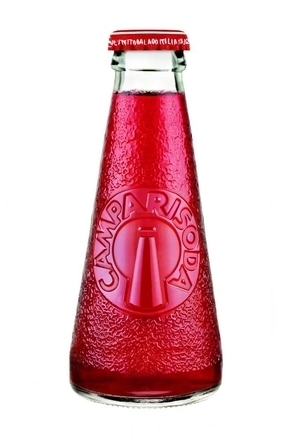 “I decided to narrate that intercontinental love story through the most emblematic spirits and flavours of the two worlds: Campari and fresh and juicy blood oranges symbolising Italy, Sagatiba Velha and bright green limes for Brazil. I sealed this union with a macadamia nut orgeat to celebrate the country I now call home: Australia. 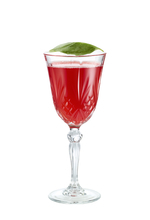 Anita, this symbolic mix of 2 worlds, is garnished with fragrant and aromatic basil leaves to finish.